The apartment is really very nice and fully equipped. The owner is very helpful and responds promptly to our concerns and requests. The location is just amazing and close to all kind of services including various transportation options. The process of retrieving and returning the keys is very easy and no need for time demanding processing of check-in or check-out. Simply get your apartment on the spot and leave the keys immediately. 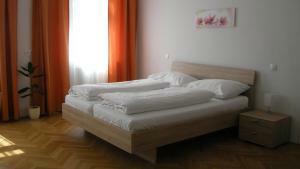 Apartment is newly furbished and has all the needed facility for short stay. Flat Spacious and comfortable. Very good day light. Missing a try to cook pizza. Very good location, close to the metro station and close to the grocery store (Billa, Spar), including a smaller one at the gas station that was opened 24h. Very clean and cosy apartment. Nice old building. Very spatious room and the hall, so we could keep our bags conveniently there. Perfect organization of key pickup, and garage arrangement (50m from the apartment itself). Very close to Schonbrunn Palace (15m by foot) and Schonbrunn Zoo, but also Technik Museum. If you plan to travel for a daytrip to Salzburg (by car), the location is very convenient as it's just at the end of A1 autobahn to Salzburg, so easy to get out and come back. One of the best and most comfortable places to stay in Vienna. Next to a subway, a shop, and restaurants. 4 stops from the center, it only takes 5 minutes. Responsive owners, I recommend the apartment. The property is very close to the metro station and there are a lot of supermarkets close (Billa 1-2 min walk). The appartment was good, we had all the facilities we needed and the host was super nice, she waited for us and answered to all our questions and even gave us parking tickets. Next time I am in Vienna I would like to stay again in this appartment. Near subway station, near supermarket, very clean and pleasant interior, enough space for sleeping for 2 adults and 2 small children (2,5 and 1 year old) - big bed, big comfortable sofa and child bed. It was really nice apartment. The only problem we had that there was no lift but the owner helped us a lot with the lugagge and everything. Close to metro station. Close to grocery shops. Large apartment. Clean. Equipped kitchen. Lock in a great price for Appartements CHE – rated 8.7 by recent guests! 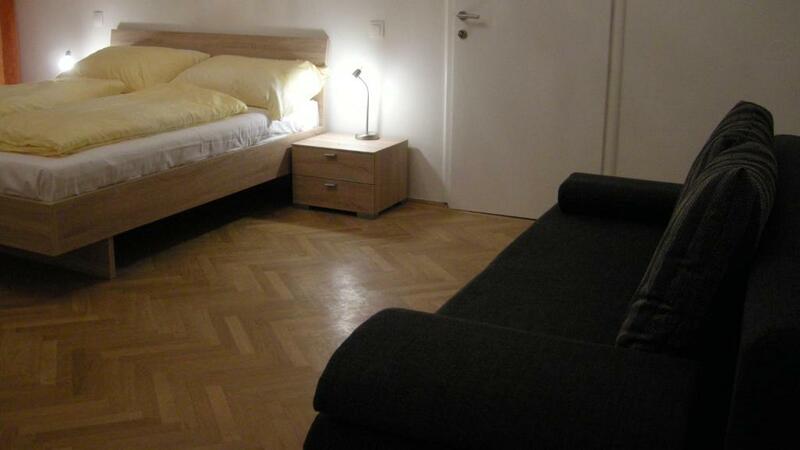 Located a 3-minute walk from the closest metro station (lines U4, U6) and an 8-minute metro drive from the city center, Appartements CHE offers modern apartments with free WiFi and a TV. Schönbrunn Palace is just 2 metro stations away. The apartments all come with a kitchen or a kitchenette, a bathroom with a shower and a hairdryer, and a sofa bed. A washing machine can be used by all apartments’ guests. 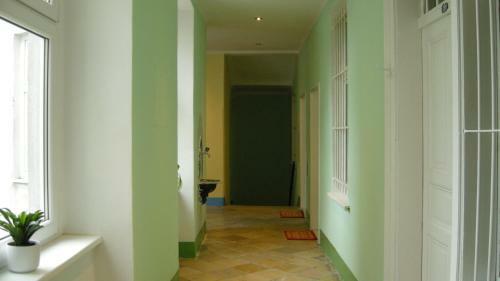 Within 150 feet from CHE Appartements, guests can find a supermarket, a drugstore, a bakery, a pharmacy and a snack bar. The closest restaurants are just 350 feet away and within 5 minutes by public transport, the Westbahnhof Railway Station and the Mariahilferstraße Shopping Boulevard can be reached. When would you like to stay at Appartements CHE? 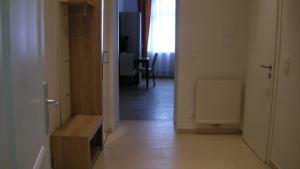 Modernly furnished apartment with a sofa bed, a kitchenette, free WiFi, a TV and a bathroom with a shower. 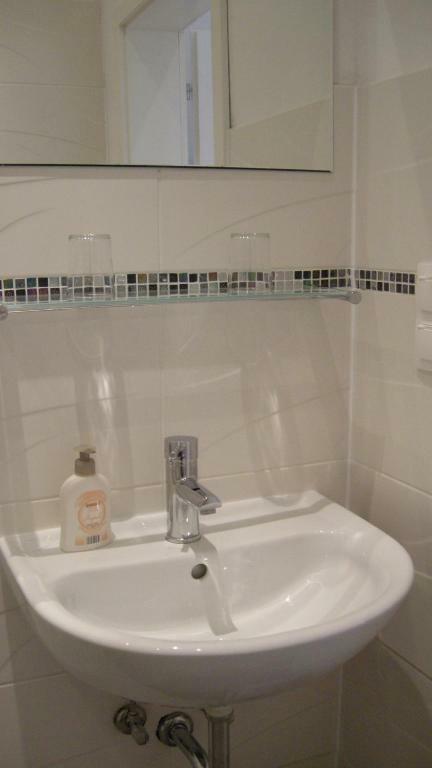 Modernly furnished apartment with a sofa bed, a kitchen, free WiFi, a TV and a bathroom with a shower. 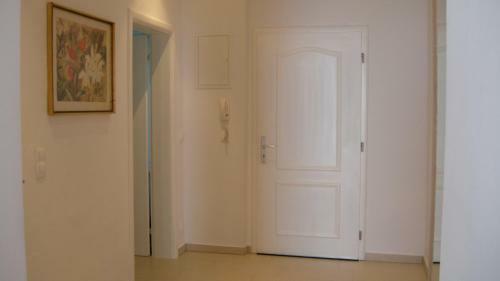 larger and modernly furnished apartment with a sofa bed, a kitchen, free WiFi, a TV and a bathroom with a shower. Alles, was Sie brauchen finden Sie in der Nähe: nur ca. 50 m oder 3 Minuten von den Appartements entfernt finden, Sie ein Lebensmittelgeschäft (BILLA), eine Drogerie-Geschäft (dm), eine Bäckerei (Ströck), eine Apotheke, eine Frisörsalon und zwei Schnellimbisse. House Rules Appartements CHE takes special requests – add in the next step! Appartements CHE accepts these cards and reserves the right to temporarily hold an amount prior to arrival. Please remember to check your e-mails 3 to 4 days before check-in, as you will receive an important information directly from the property. A key deposit of EUR 45 is required upon arrival and will be charged from the credit card. This deposit is fully refundable upon the keys are returned. Please inform Appartements CHE of your expected arrival time in advance. You can use the Special Requests box when booking, or contact the property directly using the contact details in your confirmation. There is no lift in the building and the apartment on the second floor for very high floor of old building. Very limited spaces to keep the stuffs on, only one coffee table, small dinning table, and two small night stands. The apparent is not equipped with AC and therefore becomes very hot in the hot season. For me too soft bed, but it's very individual, windows of apartment are directly in to very frequented street (a lot of traffic jams even in the night) and our weather was hot so we had to choice between loud traffic jam or hot air inside. Had to walk up multiple flights of stairs with a pram and heavy bags. 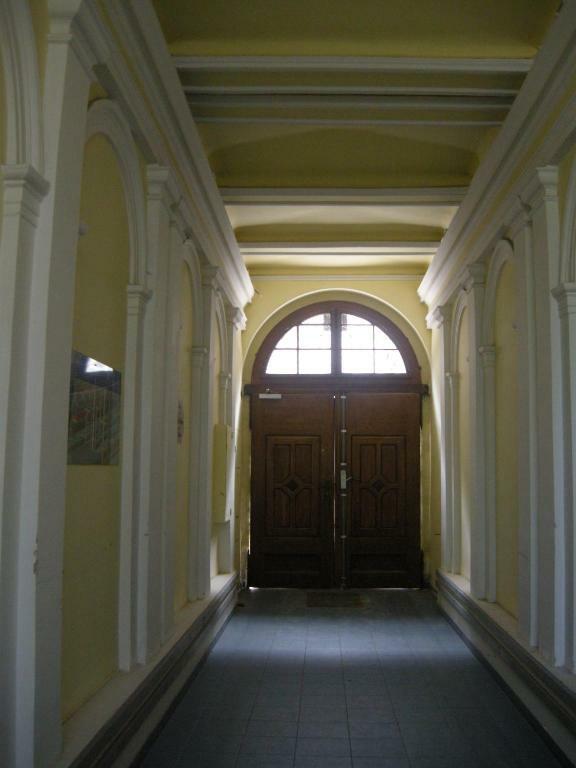 Nicely located, close to metro station and to Schonbrunn. Very friendly host. No elevator so difficult to bring your bags up as the apartment is on 2 floor. The property manager was very helpful-if we needed anything it was dropped over to the flat. 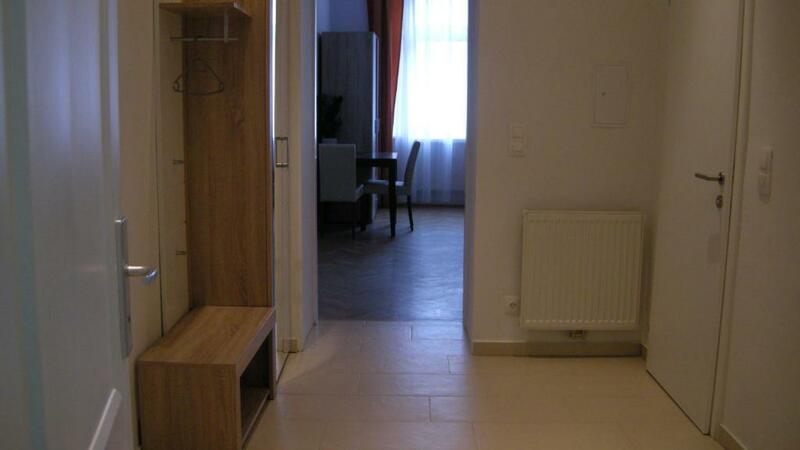 Great location right next to the ubahn!